About the O Gauge Forum Archive: Forums, Blogs, Topics, and Articles on O Gauge model railroading, layouts, scenery, photo contests, member blogs and more! (Guest) J&C Studios O Gauge Archive What is the J&C Studios O Gauge Archive? Are you involved in the O Gauge Model Train hobby? 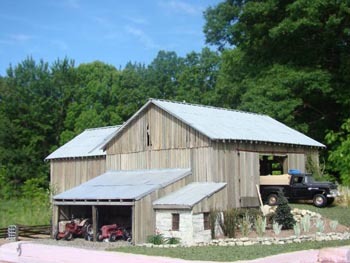 Do you have a model railroad or model train layout? Would you like a permanent place to publish your O Gauge articles, how-to's, projects, or to showcase your work to share with others? 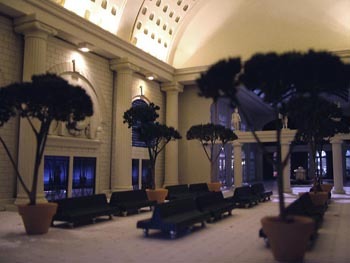 Fantastic O Gauge Train Stations! 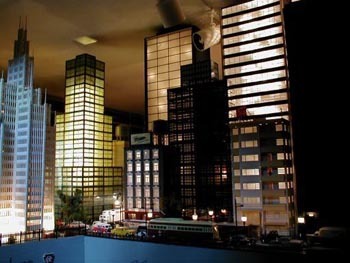 O Gauge Cities & Skyscrapers! Monthly Photo Contests with Prizes! And many more. You can cross-reference your own topics into whichever categories they belong to. Each member also has their personal O gauge forum category where they can publish their own content. Registration and participation is totally free. You will also be able to upload your photos so that they are available on the web for posting in O gauge forums and blogs. The photo upload feature automatically resizes your photos to web-friendly sizes, and even allows you to add a caption to them. You will also be able to participate in the O gauge monthly photo polls and other activities. 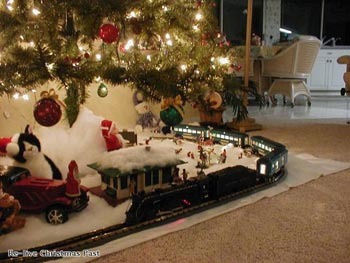 I'm John Amato (JohnBoy here and on the OGR Forum), founder of the J&C Studios O Gauge Archives. 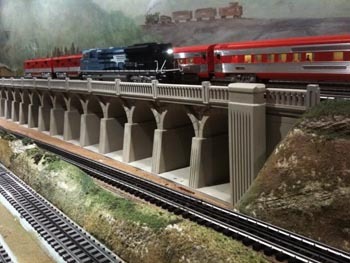 I established this website so that there can be a reliable place for O scale / O gauge enthusiasts to share their hobby experiences with fellow hobbyists, in an easy-to-use, permanent library. I am a software developer with more than 10 years of experience building custom web applications, so I have the expertise to create and maintain a quality site with features that are not found elsewhere. I have a modest 3-rail O gauge train layout in our basement that I enjoy working on, playing with, and sharing with friends and family. My two children still like to watch the trains run from time to time, when they get bored with video games and their own craft projects. I have learned much about many different disciplines over the years through my hobby endeavors, and from others in the hobby. I've found this archive to be a terrific place to chronicle and share my own efforts, and I've watched others do the same. I invite you to join us in building a permanent, interactive archive of quality O gauge content to share with others, and to reflect back over time at our rewarding journey of discovering new aspects of model railroading in O Gauge.